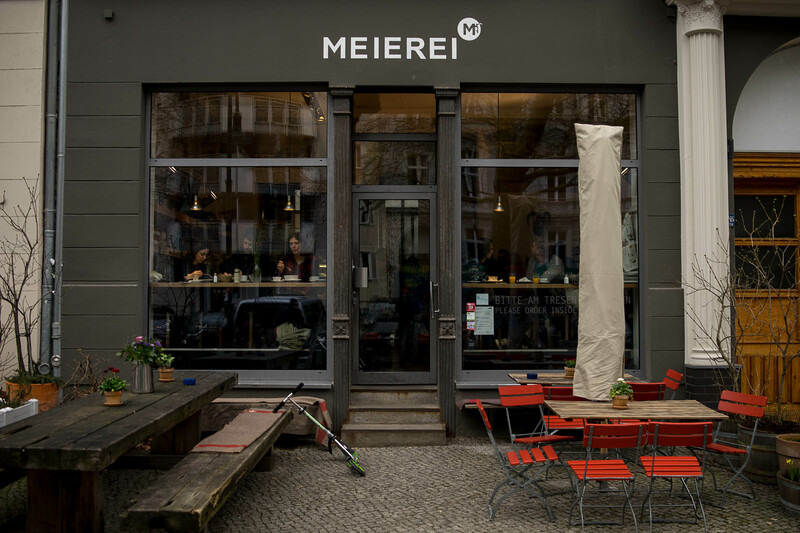 Meierei is a lovely Berlin restaurants that’s just very easy to love. 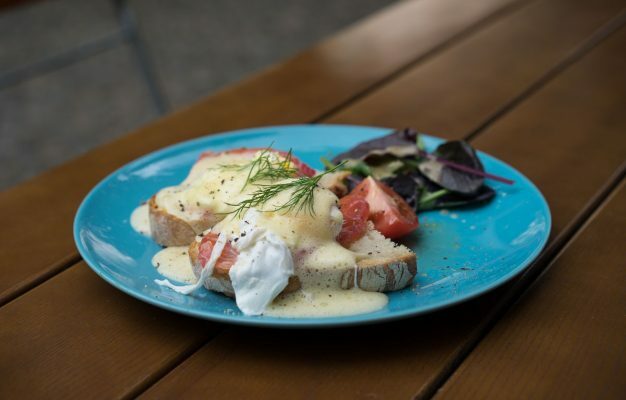 Seeking to emulate the feel and food of a Southern German Berghütte, the people behind the Meierei have created an oasis of German heartiness in central Prenzlauer Berg. 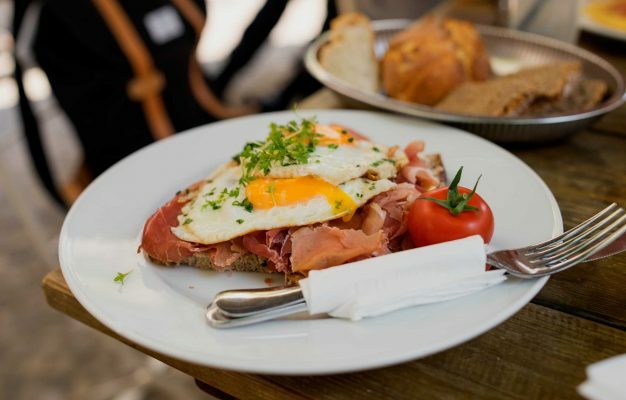 Seek out this cute little deli on Kollwitzstraße to either buy food to go here or to sit down for one of the loveliest Southern German breakfasts and lunches in Berlin. 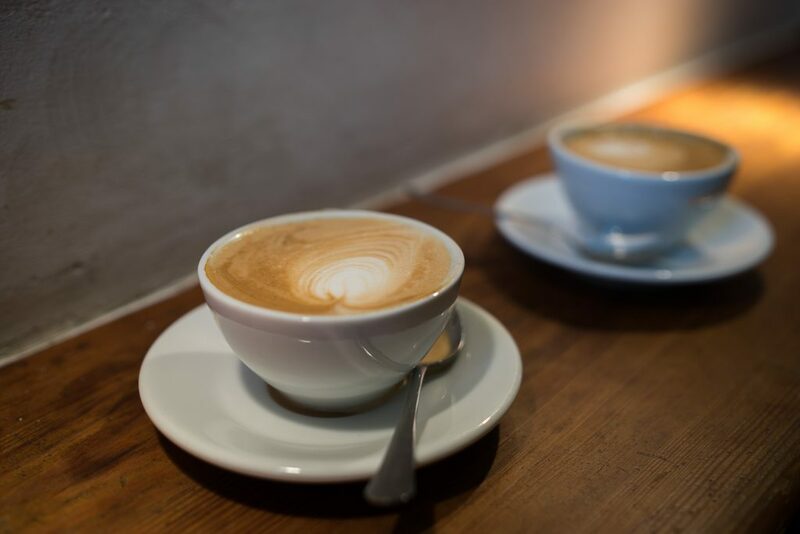 Although the Meierei also serves lunch, the best time to come to here is definitely for breakfast. 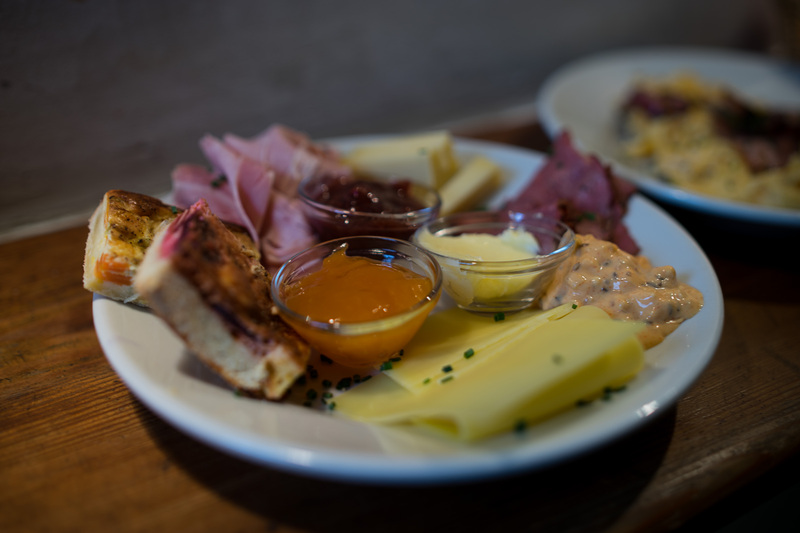 All due respect to Eggs Benedict and pancake plates, but sometimes Berlin life just calls for a good old-fashioned plate of charcuterie, cheese and homemade marmalades that you can smack on freshly baked, German bread. 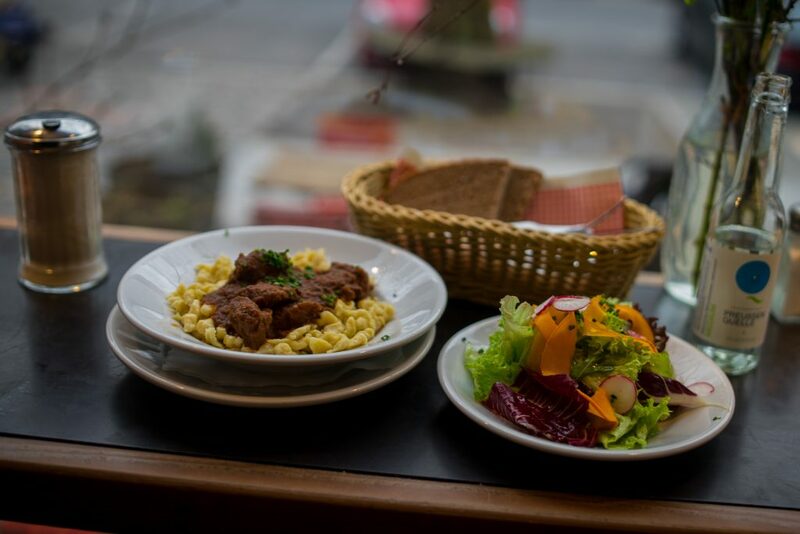 Meierei is a perfect place for this, all the food is either homemade or sourced from trusted, artisanal producers in Southern Germany. This means that the bread is amazingly crunchy and delicious, the cured hams juicy and lovely and the cheeses fragrant and bright yellow. 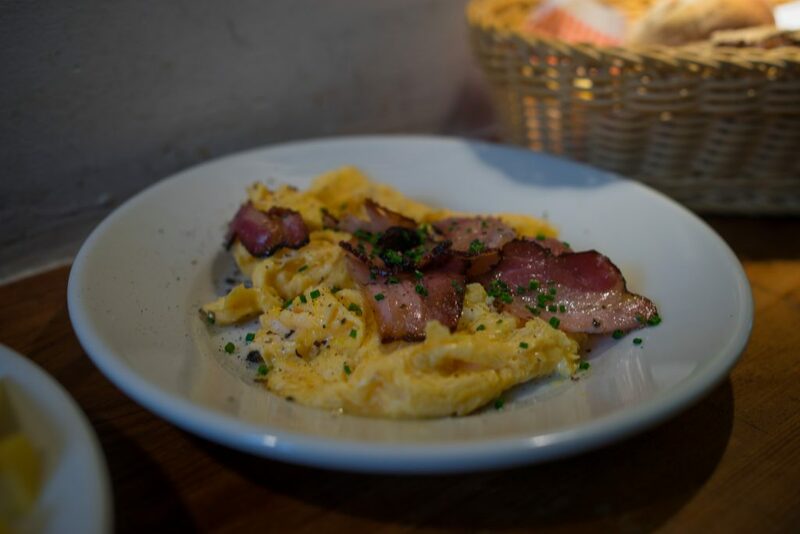 If you’re not into the classic, German and quite bread-heavy breakfast, I’ll advice you to for a plate of scrambled eggs and to go for the Speck option. You will get a plate of bright yellow eggs with the most amazing speck you’ll try for a while. You can of course also skip breakfast all together and go straight for the lunch dishes, for example a plate of the cheesy Käsespätzle or some extraordinary, homemade Maultaschen. Or maybe just a “semmel”, the German sandwich, with some cold charcuterie to go? 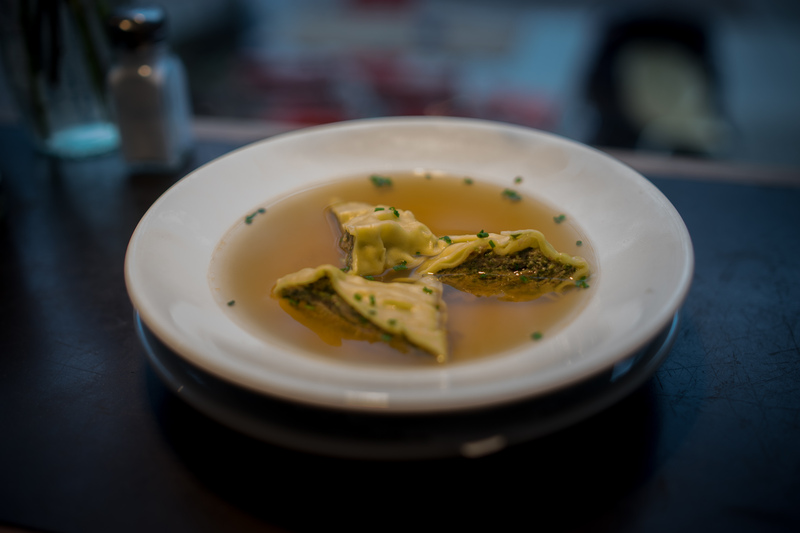 The Meierei is a prime address for all these foods and what stands out is the quality of everything served here. There are no shortcuts taken at the Meierei and this is what sets the Meierei apart from many, other German breakfast places in Berlin. This is also something the local population has caught on to by now and as a result, the Meierei is usually packed like there is no tomorrow. Especially weekends are quite frantic at the Meierei, with hungry Berliners battling each other for seats at the tables since you can’t reserve anything here. 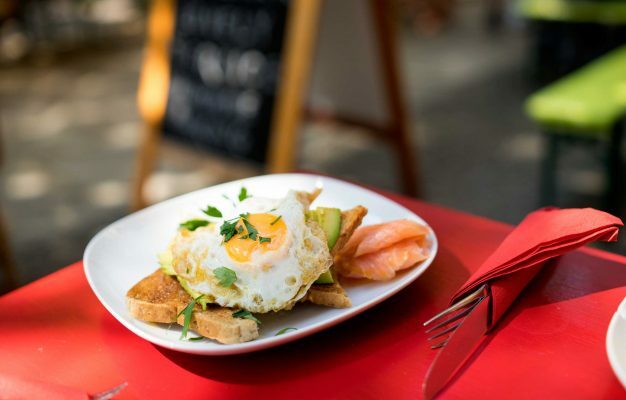 It’s easy to see why, quality in these sorts of establishments is not easy to come by and Meierei simply belongs to the best German breakfasts in Berlin.